The Matias Ergo Pro is the latest keyboard that tries to help computer users with a well-known problem: keyboards aren’t designed for hands. Instead, typists since the late 1800s through the present have had to adapt themselves to the demands of, first, mechanical layouts and, later, the constraints of one-size-fits-all arrays of electric or electronic switches. So-called ergonomic keyboards are designed to break and reshape a keyboard to better fit varied constraints, so that we can exercise some choice in matching the keyboard to our particular fingers. I’ve been testing ergonomic keyboards for more than 25 years, dating back before one of my favorites, the Apple Adjustable Keyboard (1993). Its list price was $219, or $356 in today’s dollars. It was rumored that Apple killed this keyboard under the notion that if they offered a keyboard designed to better help users avoid repetitive strain injuries (RSI) from carpal-tunnel syndrome and other conditions, it meant the regular keyboard must be a hazard. The keyboards were prone to failure and the subject of patent and invention lawsuits, and perhaps the easier story is that Apple was distracted in the mid-1990s, and just killed it off. I’ve used a standard Matias keyboard since nearly their introduction over 11 years ago, using the key molds and switches of the original, beloved Apple Extended Keyboard. I put the Ergo Pro up against Matias’s tactilepro and Quiet Pro, which for my 100 word-per-minute typing needs, I consider the gold standard. 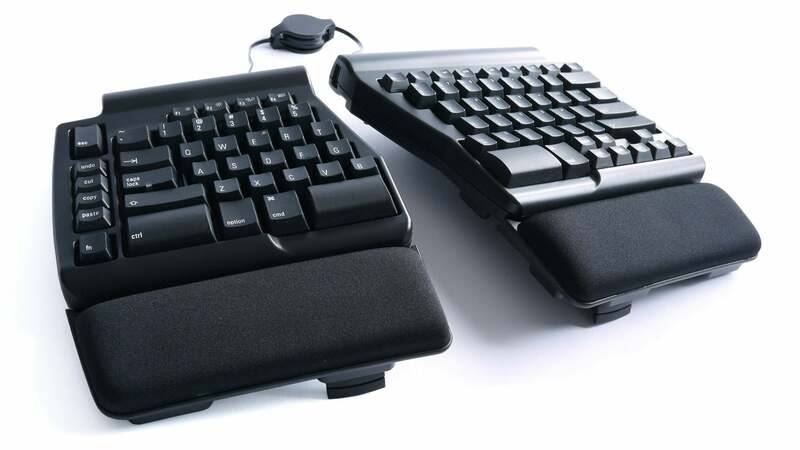 The Ergo Pro comprises two pieces, split across the touch-typing divide (5/6, T/Y, G/H, etc.). It’s not a full-featured keyboard, as it lacks a standalone numeric keypad, but it incorporates all the items one typically needs. The left half has dedicated Undo, Cut, Copy, and Paste keys. The spacebar is duplicated across the split, and is extra tall—the equivalent of nearly two keys’ height. The Option key (left side only) and Command keys (left and right) are also extra deep. The Control key is huge! It’s as wide as a Shift key and as tall as the spacebar. The key action seems a touch less solid than Matias’s other keyboards, meaning a little stiff or less fluid than the keyboards I’ve used daily for a decade. However, I was testing a freshly made unit, and new keyboards often need a bit of break-in time. The key action is still superior to nearly any other keyboard I’ve used, even with that proviso. I was able to get used to the keyboard quickly and type nearly at my normal rate. (This review was written with the keyboard, naturally.) Within a few hours of use, I rarely had to look down for special keys. I did regularly tap the Num Lock key by accident, and I suspect I’d get used to that over time. The strangest aspect of the keyboard isn’t its split or nature. Rather, the connections. The company connects the two halves with a cable typically used with mobile phone for audio and remote control: a four-conductor, 3.5mm TRRS cable. Matias supplies a flat cable in a spring-loaded retractable spool, although any similar cable can be used; it’s not proprietary. It’s awkward and bulky, though, and doesn’t fit the design aesthetic. The keyboard connects to a computer via micro-USB, and Matias supplies a short and long cable, each with a right-angle connector. It also sports three USB Type A ports. However, because full USB power is fed just into the right half, the three ports are all on that keyboard slice. One of them is on the left edge near the top, making it unusable in many configurations, as it will be too close to the left half of the keyboard. An ergonomic keyboard has to solve three kinds of issues relating to how hands function: extension and flexion, ulnar deviation and radial deviation, and supination and pronation. Each of these is a different form of bending or twisting. Extension is how the hand bends up at the wrist, and flexion how it bends down. Ulnar and radial deviation are how the hand bends left and right at the wrist. Supination and pronation are rotating the wrist palm up and palm down. Like snowflakes, no two people’s hand position across all those rotations and extensions will be the same. Regular keyboards require that everyone deviate outward, extend or flex depending on the keyboard’s height, and pronate towards the middle. Finding a relaxed position of comfort puts the least stress on one’s tendons. This makes an ergonomic keyboard impossible to review generically, quite frankly. Given that I’ve been writing about them for more than half my life, I come back to the same point: they have to be built in such a way that there’s a very wide variety of positions and opportunities, both to allow variation among people, and to let people choose different positions over time. On that score, the Ergo Pro is too limited. The keyboard is two entirely unconnected pieces, and you cannot make the angle between them stay put, despite rubber pads and feet. In normal use, I found it easy to jar one or both halves, and then have to fiddle to restore them to the way I liked. There’s also a reasonable amount of surround and edge where the two halves “meet,” so you cannot push the sides closely together to make an easy tent in the middle. The split allows you to adjust ulnar and radial deviation, but the other factors rely entirely on three kickstands on each keyboard half. In various combinations, you can elevate (or “tent”) the keyboard in different inclines. But there are no fine-tuned elevation controls. The keyboard comes with two deep, soft palm rests, which some people like. I do not, and they can be taken off by removing three screws on each keyboard half. However, removing the palm rests also removes two of the elevating kickstands. The trouble is that it’s going to be hard for you to know whether this keyboard works for your particular hands before trying it out. Matias is currently ramping up production and is accepting pre-orders now for a batch that will ship in June (including worldwide free shipping as a pre-order bonus), although they hope to get them out earlier. Matias offers a 30-day full-refund return for its direct sales, and while the company is based in Canada, American purchasers can ship back to a New York warehouse to avoid international shipping chages. 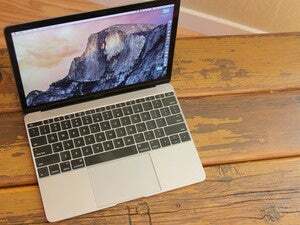 The keyboard will also be available through resellers, which should allow either an opportunity to try one out in person or to ship a return back even more cheaply. Ergonomic keyboards that allow extremely fine degrees of manipulation of angles and rotation typically cost far more and come with many more tradeoffs than the Ergo Pro. 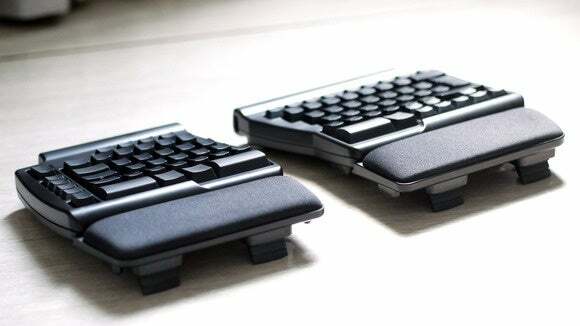 Matias has sculpted a keyboard with its typical quality and care that fits better in the budget for a serious typist with existing repetitive motion issues or concerns about developing them. For those for whom there’s a match between hands and keyboard adjustments, it’s a bargain for what it offers. Matias makes excellent keyboards, and this one is no exception. But any ergonomic keyboard can be tough to adjust to, so don't be afraid to return it if it doesn't work for you. 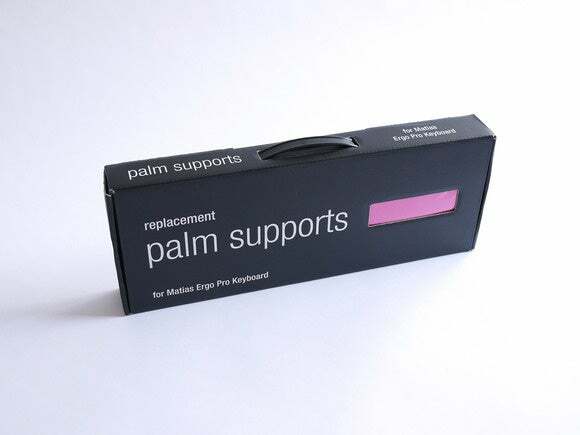 Made with the same care as Matias's other keyboards. No mechanical way to keep keyboard halves in fixed position.